Quanda Z. Johnson, DDS (Oak Park) - Book Appointment Online! 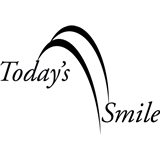 The dental professionals at Today's Smile are pleased to welcome you to our practice. Our State-of-the-Art facility can cover the entire spectrum of your Dental health needs.